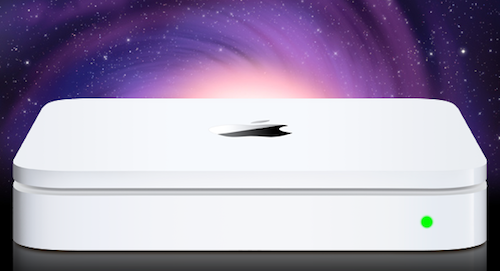 Last night Apple has released an update to Airport Utility; this update contains some bug fixes in the setups of AirPort Extreme Base Station and Time Capsule administration software. But the software update comes up with some more information too, users on MacRumors, has just found out the references of next generation AirPort Extreme Base Station with 802.11n capability and a 4th Generation Time Capsule with 802.11n capability. It already reported that a new feature of these products would allow Time Capsule to download the software updates in the background, cache them and send to the computers, so in this way user not have to wait for downloading process. In the week of WWDC, we have also heard that a new Time Capsule gets complete redesign, will run the custom iOS with A5 chip. Some sources also claimed that Apple has integrated its iCloud service with its, means users not have to stream again and again data from the iCloud servers, once user stream the data it will cache on Time Capsule.